Dr. Fedak has a passion for exploring and sharing the geological history of Nova Scotia. As a university student he volunteered with the Royal Ontario Museum and collected Triassic fossils in British Columbia’s Peace River Valley. 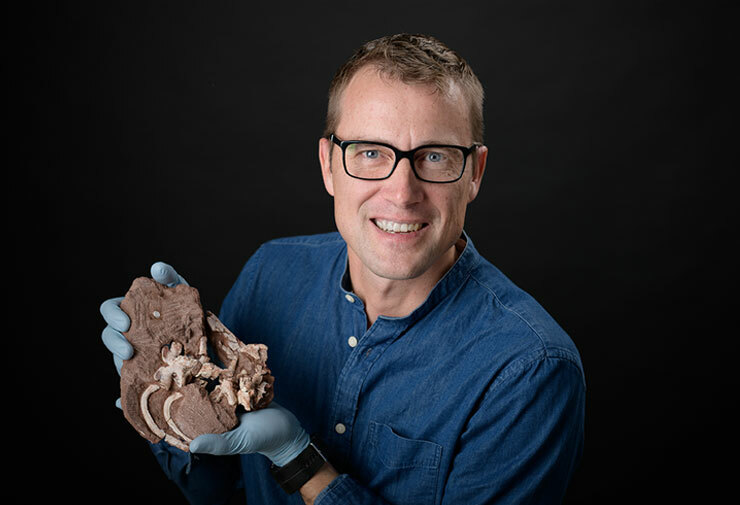 Tim and his wife moved to Nova Scotia in 1997 when he received a Nova Scotia Museum Research Grant to begin studying the dinosaurs found on the shores of the Bay of Fundy. In 2007, Dr. Fedak completed his PhD at Dalhousie University and most recently continued his research at the Fundy Geological Museum in Parrsboro. Now as Curator of Geology, Dr. Fedak remains passionate about sharing the value of Nova Scotia’s rich geological history.